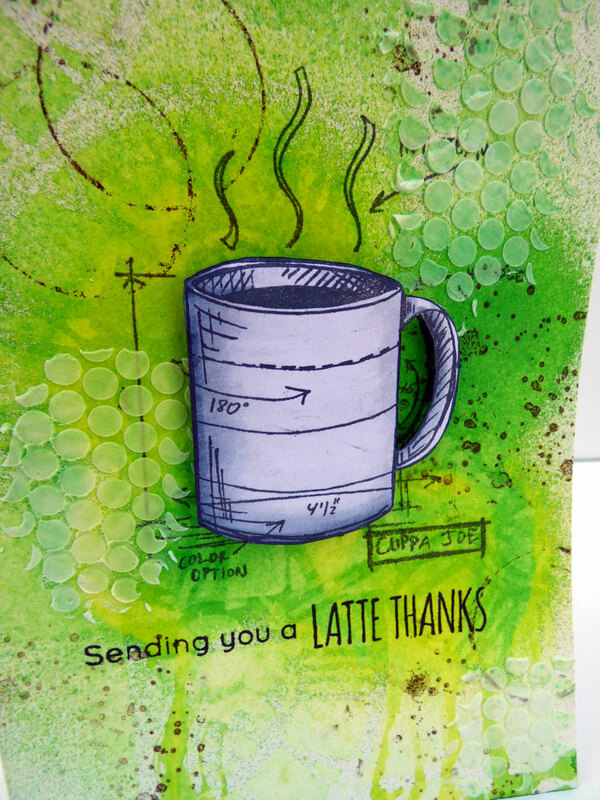 Inky Fairy Designs: Blitsy Feature: Happy National Coffee Day to all my fellow coffee + mixed media lovers! Blitsy Feature: Happy National Coffee Day to all my fellow coffee + mixed media lovers! Hi Everyone! I am up on the Blitsy today with a new project. In honor of all my fellow coffee lovers on this most awesome of holidays. Happy National Coffee Day! Here is a sneak peek, please check out my post HERE for a full reveal plus my process video!